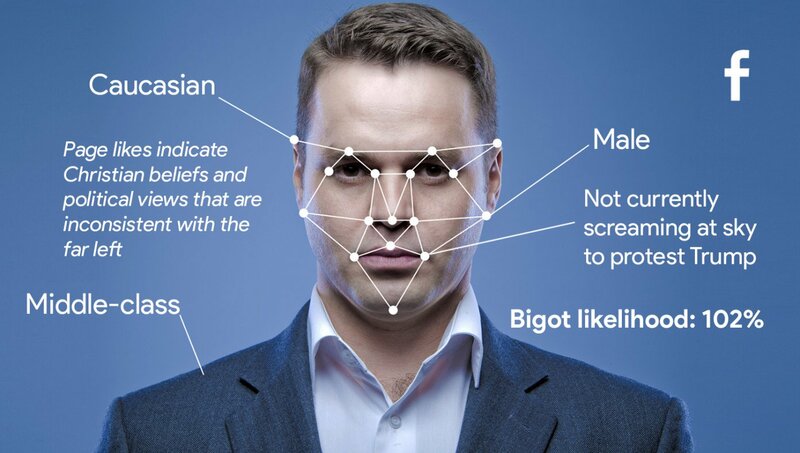 MENLO PARK, CA—In a move to better filter out unapproved positions and people, Facebook unveiled its new Bigot Recognition Technology (BRT) at a press event Tuesday. The new tech automatically detects people who are likely to be prejudiced, backward cretins and flags them for removal from the social network. Go here to read the rest. I have been unable to confirm rumors that Microsoft is preparing an auto de fe app for users to get rid of pesky neighboring conservatives. “remove offensive people” Issues must be judged. People must be tolerated and endured and loved.